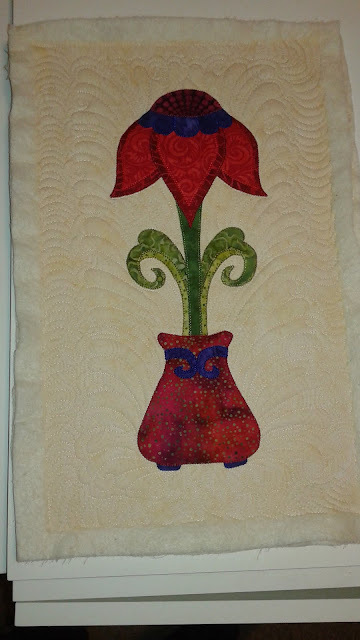 Here is the final block in my Flower in a Pot Quilt Along! Please share what you've been creating on my Machine Applique Adventures Facebook group. I look for quilt patterns in tissue boxes all the time. They're a fantastic source of inspiration. I also recently found a box at school that I found inspiring. Here are some doodles I drew as well. I definitely want to quilt these! Come back Wednesday for the pattern for Flower in a Pot #9! The last in the series. 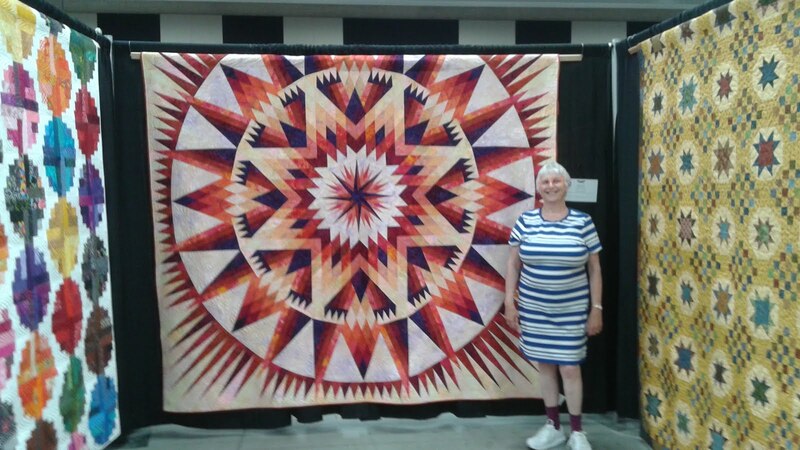 I hope you're inspired and that you get to quilt today! 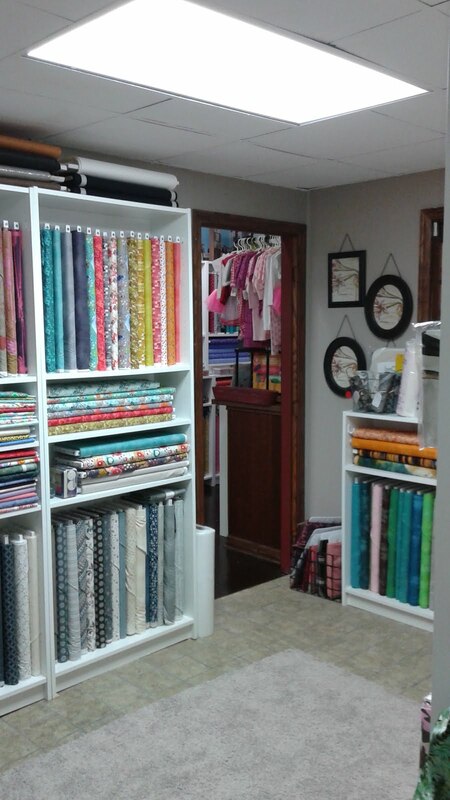 It's time for quilting! It's one of my favorite parts of the process. I decided to combine a bunch of different feathers together. 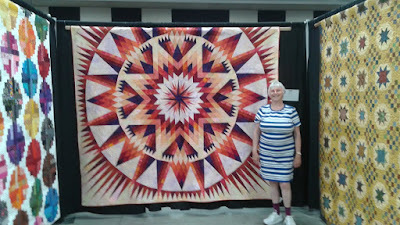 I got the idea from Judi Madsen's iquilt class where she teachers combining feathers. Below you can see the different types of feathers I used. From the left it is a curl feather, a regular feather, a hammer feather, a hook feather, a regular feather, a hook feather, a regular feather a hammer feather. It was fun changing it up. 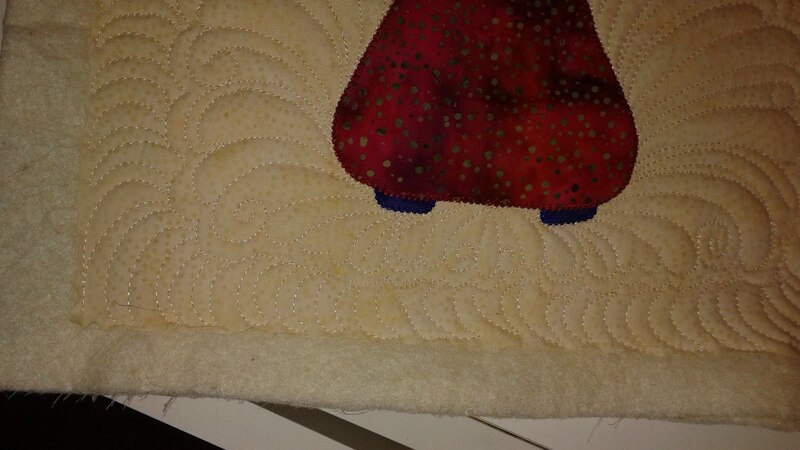 After having quilted this piece I think using too many different kinds can be distracting. 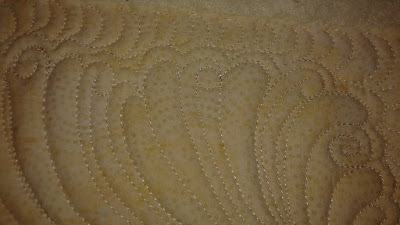 When I quilted All Fired Up I used only 3 different kinds of feathers and I think it looks nicer. 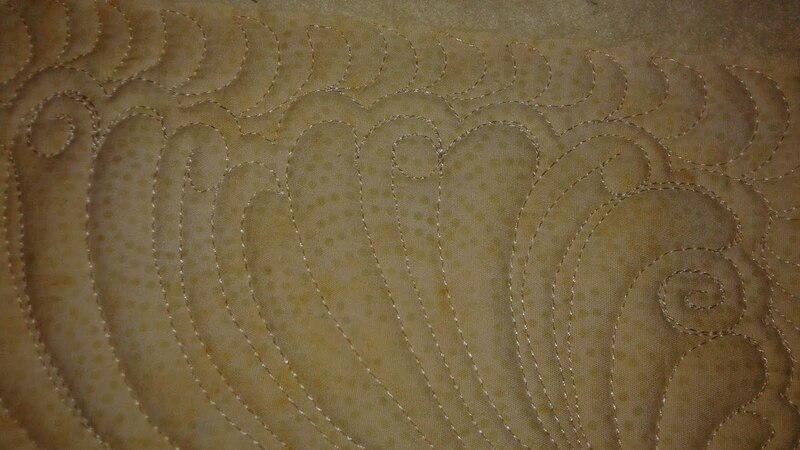 Here is the final quilt with the rick rack detail in the binding. I really like this finish and can't wait to use it again on something. I bought shiny gold rick rack. It almost looks like lame. I can't wait to try it out on something. The back of the quilt could use some stitching in the pot and flower. I'll get there eventually! 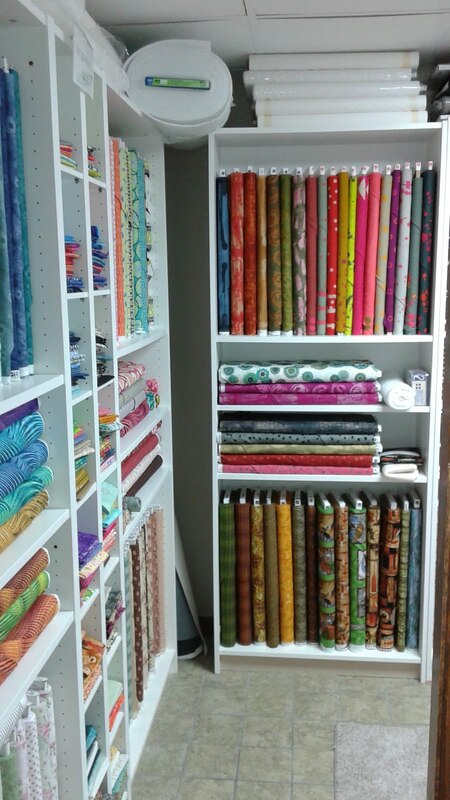 I hope you get the chance to quilt today! I was so excited to make this last pot in the Flower in a Pot Quilt Along that I completely forgot to take pictures along the way! Oops. Here is the first two layers of pieces. I really love these leaves. They're make a statement. Here is the block mostly finished without the top piece of the flower. I had a really hard time choosing a pot fabric for this flower. I knew right away that I wanted the flower to be red so I went in search of a fabric that would work for the pot and had red. 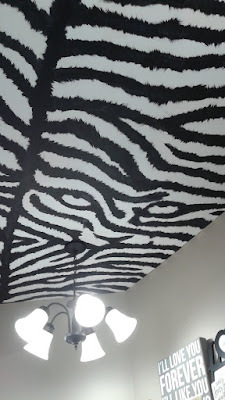 It was really hard to find a batik that fit this! 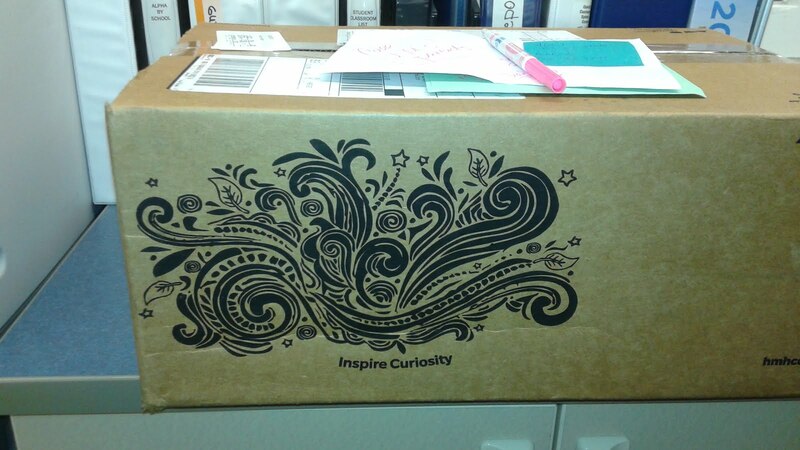 Thus I ended up with a fairly simple dot print. I like the end result. Here is the back of the block at this point. If you look closely you can see how I stop and start when I know a piece is going to be put on top. And here is the final block. Check out the top of the flower! I totally fussy cut that piece to look like it radiated. 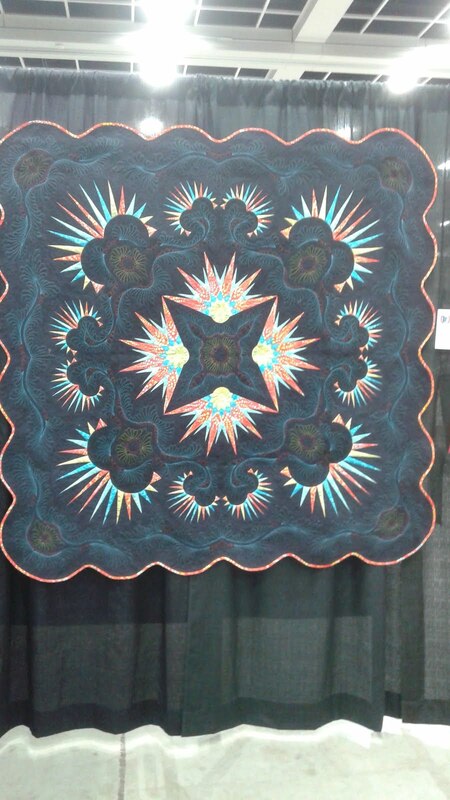 It's from a batik that had circles of dots that got larger as you went out. 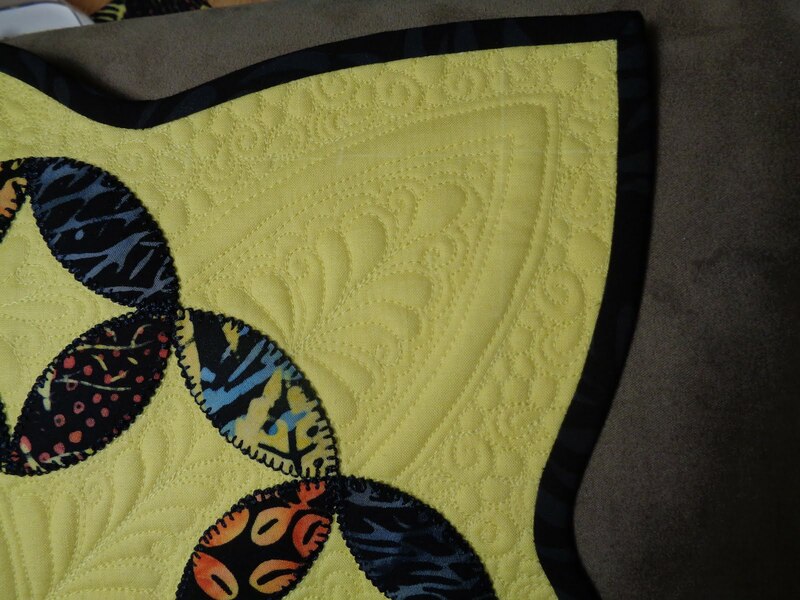 This is also a sneak peak at the quilting. More on that on Saturday! 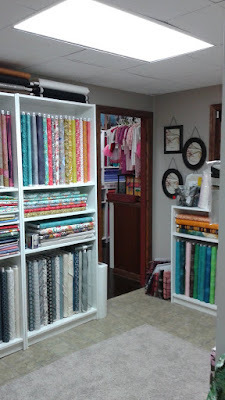 And don't forget to join my Machine Applique Adventures Facebook group! 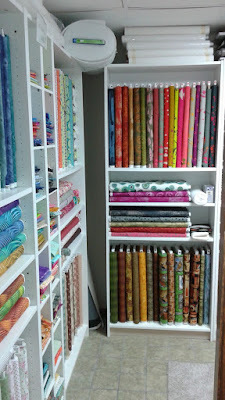 I hope you get a chance to quilt today! 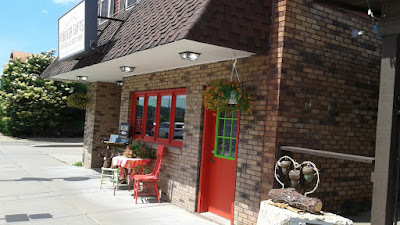 It's summer and I had the opportunity to explore a new quilt shop in the area, Forever Gifts Boutique and Quilt Shop in Prescott, Wisconsin. It was fantastic! 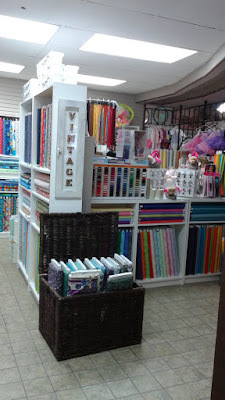 They had a lot of fabric in bright vibrant colors and lots of neat gifts too including a whole wall full of signs with funny sayings. 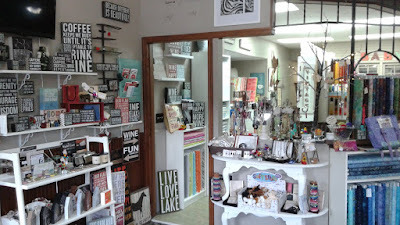 The shop is right on Main Street in Prescott and very easy to find. It was really fun to poke around and see all the gifts interspersed with fabric. 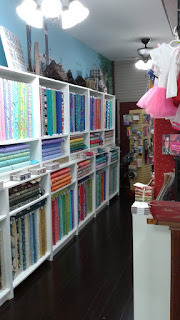 Their fabrics were so fun and colorful. 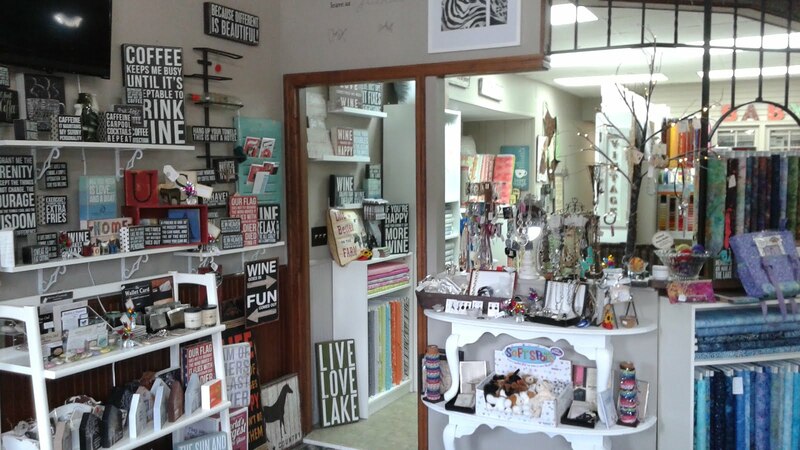 It's a really cheerful shop. 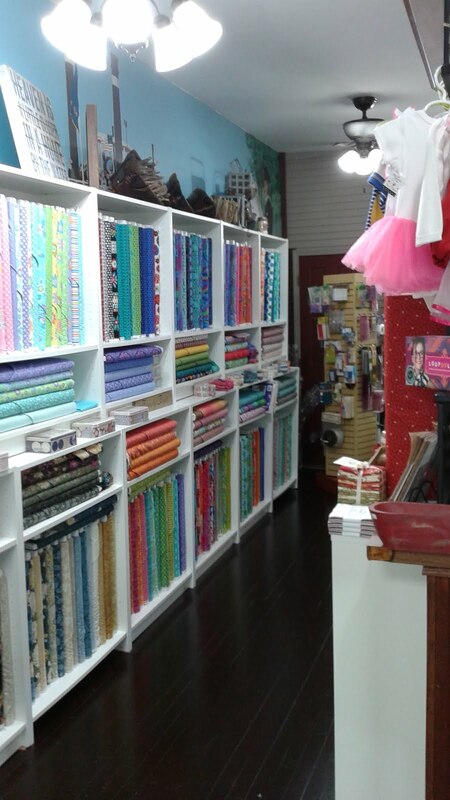 They had lots of modern fabrics to explore and batiks as well. I will have to go back and buy some signs sometime. They were hilarious. The jewelry was fabulous too. 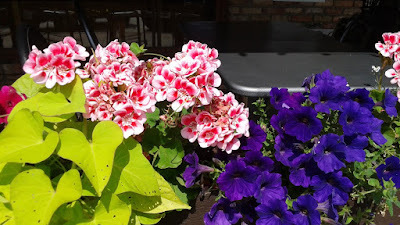 Here are some fun flowers at the eatery next door. Their ceiling is painted like a tiger! Can you see it? My sons had a blast finding it. I can't wait to go back and explore some more. Stay tuned for the quilting of this Modern Checks on Saturday! 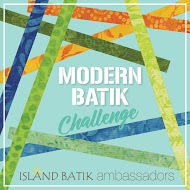 The amazing Carol Steely, fellow Island Batik Ambassador, invited me to be part of her "Meet a Quilter" series on her blog this month. Check it out here. I love the different colors of flowers in these pots. Coral, peach, magenta and purple. I love warm colors. 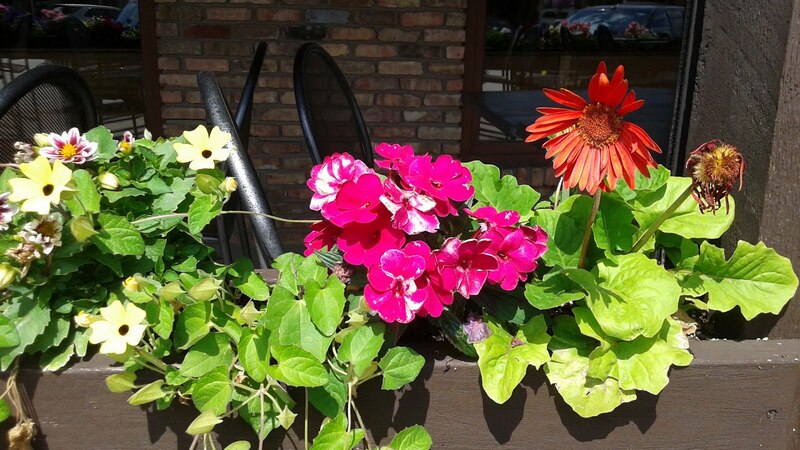 I also like the two baskets of flowers next to each other. It has possibilities. The stores in Zumbrota had colorful flags flying outside their shops. I love this one. It would make a fantastic border or triangular corners to square up a block that's on point. Here is another fun flag. 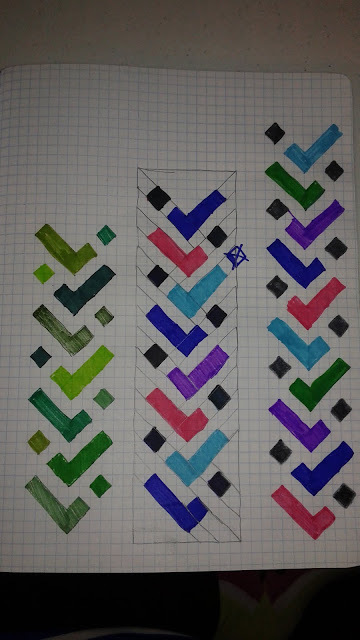 I like how the blue diagonal lines go through the varying stripes. It would be fun to play with two stripes set against each other like this. 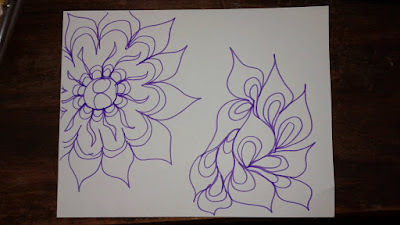 I'm excited to share the pattern for Flower in a Pot #8 with you! Donna just recently finished Flower in a Pot #1 and posted a picture to my Machine Applique Adventures Facebook group. 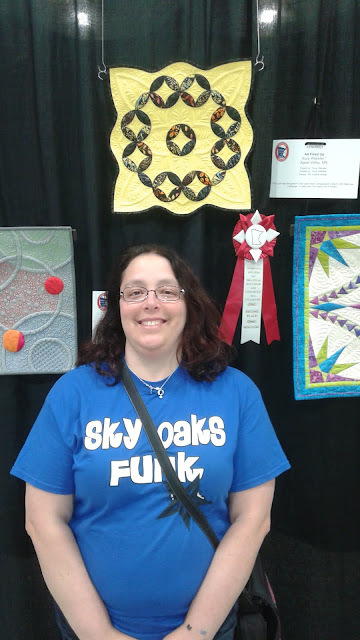 I went to sneak preview yesterday at the Minnesota Quilter's Show in St. Cloud. It was an absolute blast and we had a great time! 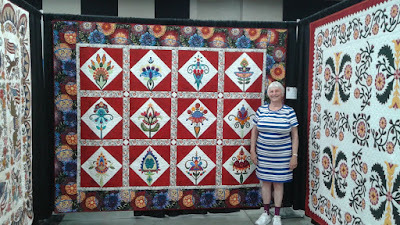 There were a ton of gorgeous quilts that I will be posting pictures of for the next week or two over on my Machine Applique Adventures Facebook group. I was excited to see how my two new show quilts did and I was quite pleased with the results. Kaboom! took second place behind Margaret Solomon Gunn. 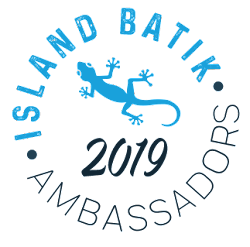 All Fired Up (made with some of my lovely Island Batiks as part of the Island Batik Ambassadors) took second place behind Sharon Schlotzhauer. Here's my mom with her two quilts in the show! 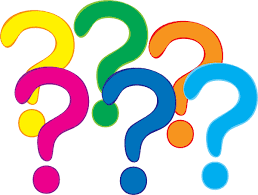 Come check out some others in my Facebook group. AND today was the last day of school. 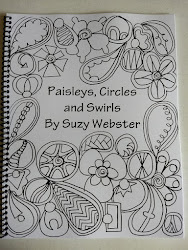 AND I got the proofs for my book today! It's been a crazy, but good week.